His latest guitar-driven rock single So Far from Hollywood (available 21 June 2016 for digital download) celebrates the everyday hero. This new single follows on the heels of his 2015 single releases—Wrap Me in Your Christmas Love, his first original holiday recording, and You Are There, a soul-flavored love song. In 2014, Goodrich also released two singles, a soothing, hypnotic version of the traditional favorite Silent Night, and What's the Dark Matter?, a cosmic contemplation which merged the secrets of the universe with the concept of relationships. 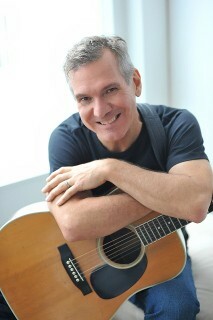 His solo discography also includes the acousto-centric Stripped Away, a ten-song homage to the bare essentials of life and the enduring power of love; the eclectic ten-song release 15 Minutes, which dances around the fires of fame and time; the spiritual 5-song EP Songs for You; and the eponymous 3-song recording Dave Goodrich. He currently has another full-length, fully-produced album in the works. Playing the drums dominated Goodrich's early musical endeavors, and his mother's pots and pans served as his first "drumset." Besides the drums, he began studying piano with his mother at the age of four and wrote his first "melodies" for her to play for him. He also played the trumpet for awhile and started learning the guitar at around age twelve. Later, as a college student performing extensively in the San Francisco Bay area in such venues as the Berkeley Square, The Chi-Chi Club, and Mabuhay Gardens, he provided drum and vocal support to several different bands—including Instruments of Science, Night Science, Ouchcube!, and jenny jenny—which covered the spectrum from alternative to country. Original recordings he produced were heavily aired on college stations throughout the Bay area. From 1985 to 1990, Dave Goodrich played in some of Washington, DC's top clubs—including The 9:30 Club, The Roxy, DC Space, and The Bayou—as part of the alternative pop trio Mind's i, for which he was a percussionist, singer, writer, and producer. The Mind's i album, A House Defiled—which was released on the BBTB label in 1988—was nominated for a Washington Area Music Award (WAMMIE) in the Best Debut Album category. Additional members of Mind's i included Lenny Stearns on lead vocals and guitars and André Follot on bass and backing vocals. His music career transition from behind the drumset to the front of the stage occurred following his departure from Mind's i and a subsequent short-lived break from musical performance.